Digital technologies are fundamentally redefining business strategies. Cloud and Agile models, mobile platforms and intelligent analytics tools are driving relentless business demand for speed, flexibility and alignment to customer requirements. As a result, software development organizations face increased pressure to quickly deliver functionality to the market. The stakes are particularly high for QA testing functions, which must balance the dual imperatives of pushing functionality to users with ensuring quality, performance and security. The good news is that the disruptive technologies that are raising the bar of business expectations can also be leveraged to enhance development capabilities. Indeed, enterprises that effectively apply tools such as AI, analytics and automation to development and to QA and testing will gain a significant competitive advantage. Those that don’t seize the opportunity, meanwhile, risk finding themselves facing an insurmountable gap. Increasing Complexity: Cloud computing platforms and the Agile model offer the potential to enhance flexibility and responsiveness. Cloud platforms provide easy, scalable access to computing resources. And, the close collaboration and ongoing communication between developers and the business that digital transformation requires are baked into Agile. That said, for traditional organizations, implementing cloud and Agile capabilities often requires fundamental and disruptive (not in a good way) organizational, process and cultural change. For testing organizations specifically, this means a shift from a centralized to a decentralized structure. Changing Business Models: Under the “as-a-service” model, cloud service providers are increasingly involved in the QA testing mix as third parties. Gray areas and confusion result around who is responsible for what aspects of testing. Moreover, as many businesses struggle to clarify the contractual and financial aspects of their cloud agreements, testing, QA and security concerns are often pushed to the back burner. New Tools and Shrinking Schedules: The rapid growth of mobile applications means development organizations must adapt to new types of hardware, operating systems and networks. Moreover, since mobile apps put a premium on rapid delivery of functionality, teams face increased pressure, particularly in terms of testing and QA. Industrial Internet of Things: Characterized by interconnected networks of networks and smart devices that continually collect, share and analyze data, the IIoT exponentially increases the number of scenarios and potential failure points that the testing function must address. While businesses are aggressively adopting IIoT strategies, testing capabilities around applications are often lagging. Put simply, the QA and testing function confronts increased complexity and evolving business models, coupled with mounting pressure to quickly deliver functionality. The good news is that emerging technologies – namely, Artificial Intelligence (AI), machine learning and advanced analytics – can address these challenges and dramatically improve Software Development Life Cycle effectiveness and efficiency. Specific impacts include accelerated delivery of functionality through automation and autonomous learning, improved customer experiences through the integration of natural language interfaces and enhanced diagnostics and predictive modeling from big data analytics. 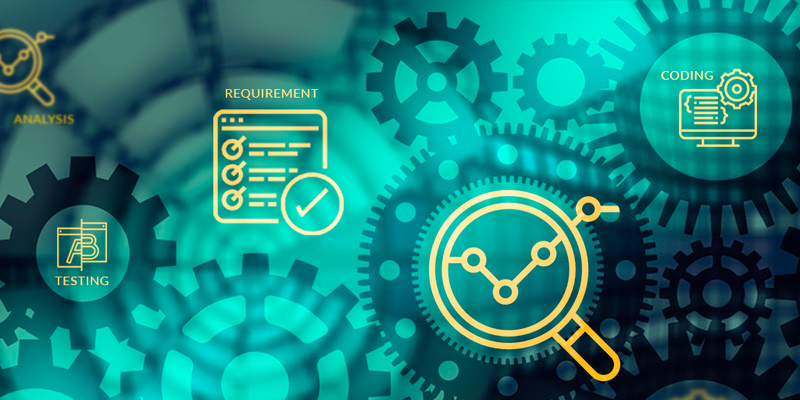 With regard to testing and QA specifically, potential benefits include higher productivity, increased testing coverage, improved identification of risk areas, better analysis of code and higher levels of predictability of outcomes. Perhaps the core value proposition lies in leveraging the expertise of humans. By applying intelligent test automation to execute a steadily increasing share of routine QA tasks (low and medium complex test scenarios and regression tests), the work conducted by humans will require increasingly sophisticated and specialized testing skill – and thereby deliver increasingly higher levels of value.